When booking, select your ferry departure location—either Perth or Fremantle—as well as the option to include lunch on the island, if you wish. 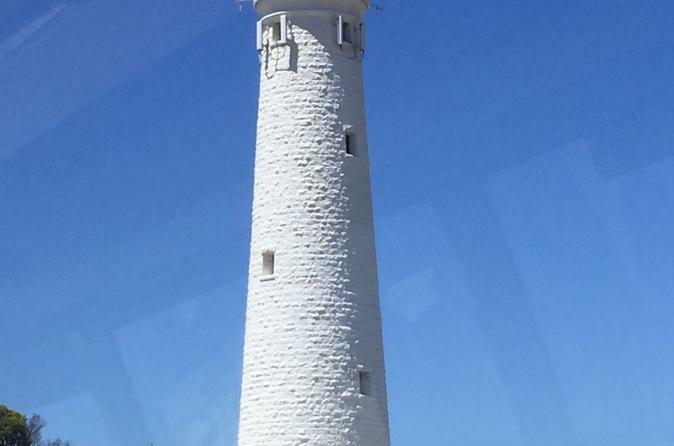 Your day trip starts with the high-speed ferry ride to Rottnest Island. If you’re departing Perth, cruise along the Swan River to Fremantle, where the river meets the Indian Ocean, to pick up more passengers for the 25-minute ride across the water to Rotto, as it’s referred to by locals. When you arrive, hop aboard your coach for your 1.5-hour island sightseeing tour. 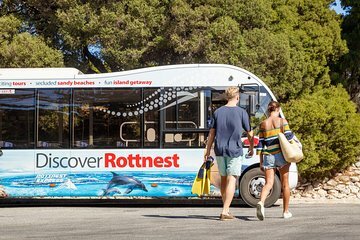 Listen to commentary from your guide about the history, culture and wildlife of the island, known for its secluded beaches and its resident quokkas, small marsupials who call Rottnest home. As you circle the island, make stops at Wadjemup Lighthouse and the West End, where you can hop off to stroll down the boardwalk, admiring coastal views. Look for fur seals at Cathedral Rocks, and watch for the possible humpback whale, which might be seen from September to November. When your tour ends at Thompson Bay, you are free to enjoy the island independently until it’s time to catch the ferry back to Perth. Perhaps rent a bike to check out one of the 63 beaches or 20 bays, go snorkeling or stand-up paddleboarding, or visit attractions like Lomas Cottage, Rottnest Island Museum or Pilot Boathouse. (Rentals, activities and entrance fees are at your own expense.) If you select the lunch upgrade, head to Karma Rottnest for a buffet of hot dishes, deli items, salads, desserts and beverages.  Your day trip then ends with the return ferry ride to Fremantle or Perth. A great experience but be wary of the wind picking up in the afternoon. It can make for a very bumpy return trip to Perth. We travelled to Rottnest from Perth on one of the hottest days of the year (Jan 20th 40+). The boat was very full, with few spare seats and we initially thought we were lucky to get seats upstairs in the smaller cabin behind the wheelhouse. Unfortunately the air conditioning in the small cabin was almost non-existent which made the trip very very uncomfortable. Mid way down the Swan, when I really started to struggle, my husband checked downstairs to see if there were any spare seats (there weren't) and he said the downstairs cabin was 5-10 degrees cooler even though there were more people. It's not all bad - the commentary was very good, the staff were friendly, the boats on time and the cafe service on board was prompt. The bus trip around the island was informative, the quokkas plentiful and the views spectacular although, again, the bus air conditioning struggled to cope with the heat. On the return boat trip at 5pm, there were less passengers and we managed to get seating downstairs in the main cabin which was heaps better. If we go back, and I would despite the whinging, I would probably drive to Fremantle and go from there instead now we've seen the Swan. My wife and I took the tour from Perth to Rottnest Island. We got on the ferry at the Barracks Street Pier area and had an enjoyable ride to the island (no stops). We got off the ferry and waited just a short while before we took the Bus Tour around the island and it was worth it. You get to see some spectacular sites. The tour personnel are very friendly and helpful. The tour is worth the price. We went on a weekday and there were a lot of people on the island. However, if you want to see a lot of the island then you should rent a bike. An easy and convenient way over to the island. The bus tour was fun and informative. Great day out. It is important to note that the jetty number in the Viator voucher is wrong. It is jetty 4 not jetty 2. We were standing around wondering where everyone was until a man came up to us and told us it was jetty 4. The trip over was good but take travel sickness tablets if you usually need them. It can be a bit rough when in the open sea. We had time to have a look around before the bus tour. I highly recommend the bus tour for a good introduction to the island. We had two very short stops but got to see a lot, including people pushing their bikes up hills!! The bus was a good way to travel around to see what was available on the island. We had lunch at the Rottnest Hotel which was fine. There were a couple of gluten free options. The trip back on the boat was quite rough. Everyone remained seated and you couldn't see out the windows at times due to the waves crashing on the side of the boat. I would recommend this tour. We started with a lovely, narrated tour down the Swan River to Fremantle. We had an extremely knowledgeable and passionate guide on our bus tour who covered the history, geology, animal and plant life of the island. We had a lovely lunch, did some souvenir shopping and walked along one of the beaches. Best of all was seeing the Quokkas, smallest cousins of the 'roos who exist only on Rottnest and one other small island. One minor waning: the ferry ride to Rottnest can be a bit rough.